As part of a raft of bills on government data and transparency, Council Member Ben Kallos has introduced legislation that would require the city to release and map data about where NYPD issues moving violations, among other things. The bill would open up new traffic enforcement information to the public, but it might also require a top-to-bottom overhaul of how city agencies issue and process violation notices. Currently, information on moving violations is available only at the precinct level, aggregated in reports on the NYPD website each month. The Kallos bill would require NYPD to specify the date, time, and location of each moving violation in updates posted at least monthly. The bill calls for precise latitude and longitude coordinates, but allows for data to be coded to the nearest intersection. “There’s a lot of fascinating questions you could explore,” said statistics professor and I Quant NY blogger Ben Wellington, who was particularly interested in tracking whether high-crash areas are also receiving the highest levels of enforcement. “In a Vision Zero plan, you probably want to shift resources to places where there are the most problems but the least resources,” he said. The amount of work NYPD would have to undertake to comply with the bill’s mandate remains an open question. The DMV’s traffic ticket form, used by the police department, only has a “place of occurrence” line, in which officers can write a location. This type of non-standardized information is near-impossible to sort geographically. It will take more than better forms to create standardized, usable data about the location of summonses. Crash data, which the Kallos bill does not address, is already coded to the nearest intersection and released to the public through the city’s open data portal. Despite having a place on crash reports for officers to mark cross streets, the geographic information in the crash data is lacking, according to an analysis by Make Queens Safer. The group found that anywhere from 13 to 38 percent of crash records lacked sufficient geographic data. Many entries have no location information at all. 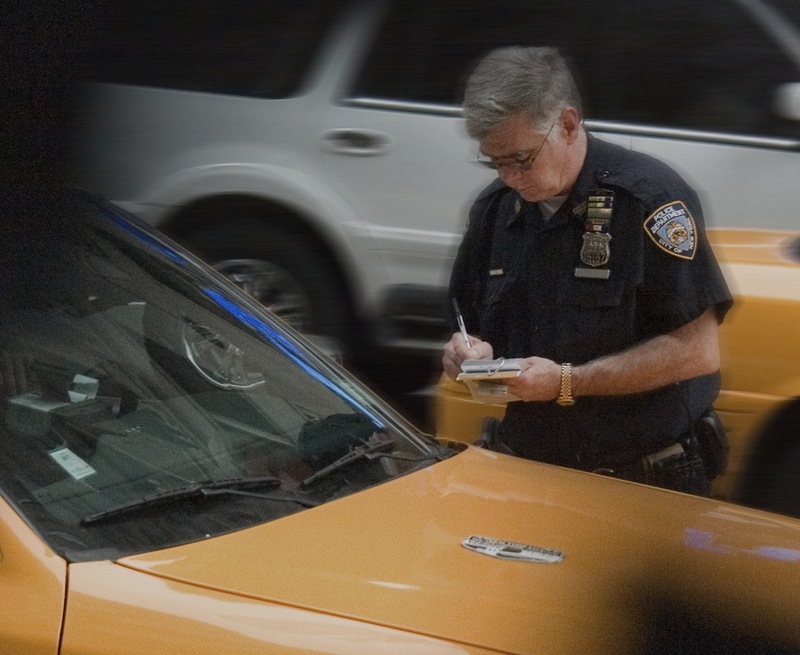 The bill addresses many more types of tickets and summonses in addition to NYPD moving violations. Building on the city’s existing crime map law, it seeks to map “every non-criminal summons, violation, or ticket given out by a city governmental entity.” This would open up large amounts of new information to the public, but it also means the implementation challenges go beyond NYPD and affect other city agencies that issue and process violations. It’s a tall task, but Kallos said that’s exactly why he wrote the legislation. “Our mobile phones have been GPS-enabled for years and now it’s [time] for our city services to be location aware too,” he said in a press release. It’s great to see this push for open data. A little sunlight is what keeps our public servants honest. Thank you. De Blasio Calls For Vision Zero Apps. How Much Data Will He Release?